What is "This Place Matters"
Everyone has places that are important to them. Places they care about. Places that matter. This Place Matters is a national campaign that encourages people to celebrate the places that are meaningful to them and to their communities. This campaign isn’t just about photography. It’s about telling the stories of the places we can’t live without. Through This Place Matters, we hope to encourage and inspire an ongoing dialogue about the importance of place and preservation in all of our lives. At the National Trust, we want to help you shine a spotlight on all the special places that are important to you. 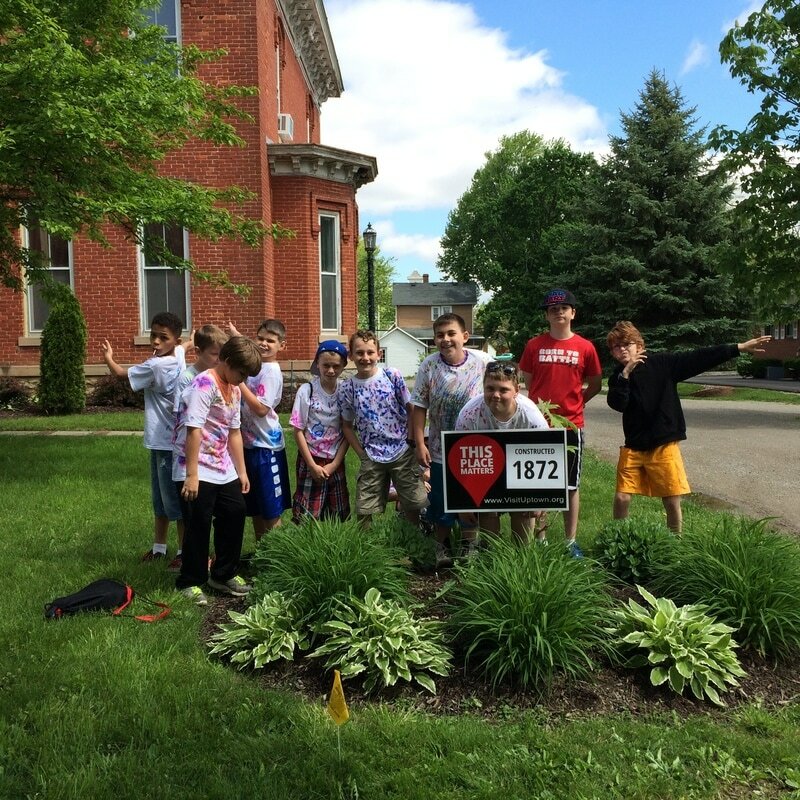 Share your photos online with the hashtag #ThisPlaceMatters. 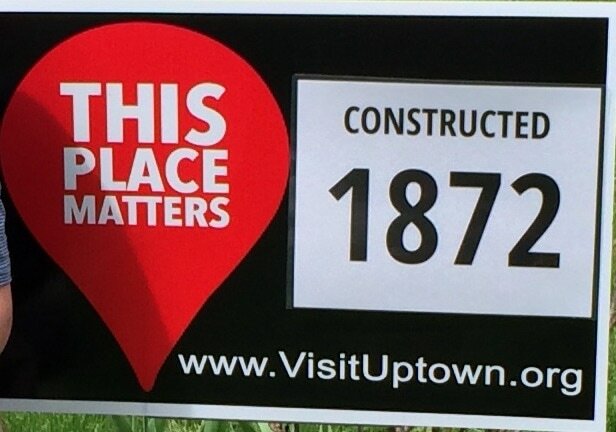 Helps us spread the word, "This Place Matters"
Come the Historical Houston House during the month of May and get your picture taken with the "This Place Matters" Sign. ​ Put your name in for a drawing for free Memberships, Room Rentals and Special Gifts! ​ "This Place Matters Driving Tour!" We will post your picture on here! 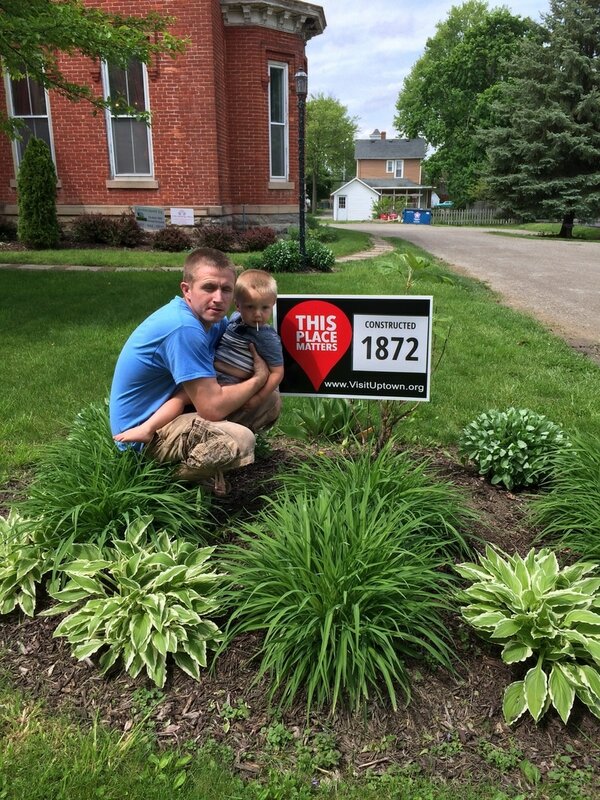 ​Share your photos online with the hashtag #ThisPlaceMatters. The Historical Houston House was built in 1872 by Christopher and Hannah Houston. It is a two-story brick house which is a stunning example of Italianate architecture. With its tall, narrow arched second-floor windows, high ceilings throughout with original plaster crown molding, low-pitched roof and decorative brackets and cornices under the eaves. The home was one of the prominent showcases of Union County then and now. Christopher was a prominent businessman who was a grocer and bank founder. Christopher’s grocery store occupied the southwest corner of uptown Marysville. Christopher and Hannah were both interested in the arts. Their son Frederick Houston inherited the home and after his death in 1949 his niece, Grace Houston Biamonte purchased the home. She was the daughter of Alexander Houston, granddaughter of Christopher Houston and the last family member to live in the home. Grace was born in 1885 and died in 1979. Grace was a talented artist. She studied at Columbus Art School, The Ohio State University (A.B. ), and Columbia University (M.A.). She taught at various schools in Pennsylvania and later became a Professor in the Art Department at Indiana (PA) State Teachers College. Many of Grace’s paintings are on currently on display at the historical Houston House current home of the Marysville Art League. The Marysville Art League (MAL) was established in 1979, by community members with a passion for sharing their art. They held their meetings in the beginning at various homes and the Public Library. Then in 1982, President Edith Dyer approached the membership with a proposal to purchase the historical Houston House. Dyer established a fundraising campaign to raise funds for the down payment and secured a loan for the purchase of the home. To this day the Houston House remains the home of the MAL. This Place Matters to its members and to the community it serves.